The adaption of US Wellness Meats’ Salt-Free Beef Pemmican Bar has no honey, cherries, or salt. The Salt-Free Beef Pemmican Bar is a simple combination of only two ingredients, but so satisfying. It was created at the request of customers who are on no sodium diets, or extremely low sodium diets. 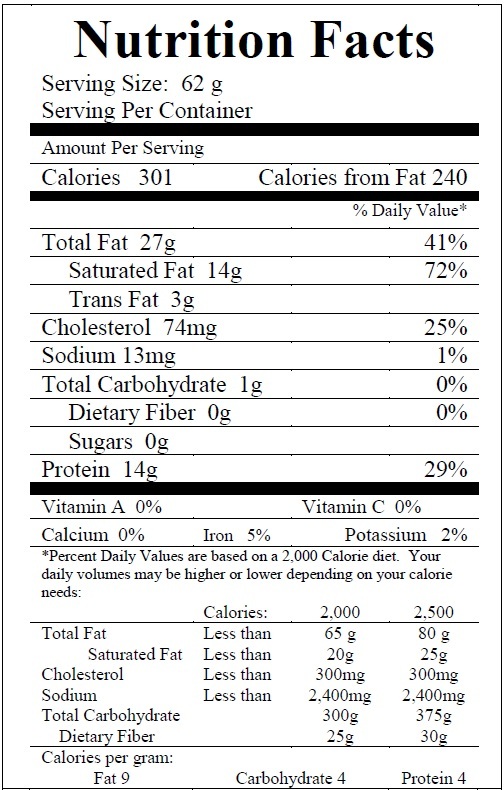 Each Salt-Free Beef Pemmican Bar averages 2.2 ounces. Life-saving . . . literally! After becoming very ill several years ago with celiac disease, I could barely digest anything. I have come to realize that my intestinal lining is pretty much damaged for good, which has destroyed my ability to digest carbohydrates, so I cannot eat grains, fruits, and the vast majority of vegetables now (and obviously no sugar). Protein and fat are the only things that don't make me sick, and these plain pemmican bars have literally been a lifesaver! I love them warmed up and almost melting. They taste a little like mascarpone that way, and I find myself craving them, as my diet is so plain and so restricted, eating these bars is the closest thing to dessert! I honestly don't know what I would do without them, and I cannot thank US Wellness Meats enough for offering them in bulk and in a plain, salt-free, and sugar-free version such as this. I used to make my own pemmican but stopped due to life getting busy. I like this product, although I used more jerky to fat ratio to make cakes that hold together but have plenty of dried meat. These seem to be mostly fat. I do like the option of no salt which I eat as is or sometimes add a sprinkle of Pink Himalayan to taste. Great way to get good healthy fats in your diet. This has been a lifesaver while traveling away from home. Perfectly compact to take on the plane or on a long drive. Easy access to the best quality source of fat and grass fed beef!!! I don't think there's anything better!!! !